Find the can’t-miss events in Houston with our Day + Nightlife Guide for Wednesday, February 13 to Sunday, February 17, 2019. The only thing we have to fear is the fear of missing out itself. Fear no more, we’ve got you covered with our in-the-know list of art, music, and nightlife events happening around Houston, from Wednesday through Sunday. Galentine’s Day At City Acre Brewing Co. | No Cover – Celebrate Galentine’s Day with your best gal pals with cocktails, food, sweets, and even a photo op with everyone’s favorite miniature horse, Lil Sebastian at City Acre Brewing Co. 4pm to 9pm. Robert Ellis “Texas Piano Man” In-store Performance at Cactus Music | FREE – Houston native and country singer, Robert Ellis, performs songs off of his new record, Texas Piano Man, at Cactus Music. You must pre-order his new album to get a wristband for this event. 5:30pm to 6:30pm. ReelAbilities Film Festival: ReelArt Art Opening Night with Ezra Roy | FREE – The ReelAbilities Film Festival presents the ReelArt Exhibition featuring works by Ezra Roy, a native Houstonian and visual artist who has Down syndrome, at Center for Art and Photography at Celebration Company. 6pm to 8pm. Galentine’s Movie Night: Romy & Michele’s High School Reunion Movie Screening at Axelrad | No Cover – Axelrad beer garden in Midtown celebrates Galentine’s Day with a movie screening of Romy & Michelle’s High School Reunion. 7pm to 11pm. Travis Scott in Concert at Toyota Center – The Houston rapper has risen to the top of the rap game after his 2018 release, Astroworld. Along with a highly touted festival, stunning concert experience, and the viral single “Sicko Mode”, Scott is riding high with no signs of slowing down. Tickets range from $39.95 to $249.95, but you may find better, cheaper, or hard-to-get seats using the TicketNetwork online marketplace. 8pm. Red Sauce Night at Public Services Wine & Whisky – With the help of Theodore Rex, Public Services Wine & Whisky in Downtown transforms into a romantic Italian Restaurant serving spaghetti and meatballs along with tiramisu for dessert and a special cocktail menu. Menu items prices vary. 4pm. Happy Hour Thursday at MFAH | No Cover – Browse the Museum of Fine Arts, Houston and enjoy a cash bar, local DJ, and grub from a local food truck. 5pm to 8pm. Anti-Valentine’s Day Party at Little Woodrow’s Shepherd – Little Woodrow’s on Shepherd in the Heights celebrates Single Awareness Day with an Anti-Valentine’s Day Party featuring drink specials and $16 steak dinners. 5pm. Bite Me: A Valentines Day Affair at Conservatory | No Cover – Conservatory in Downtown hosts their 3rd Annual Valentines Day Event: Bite Me. This year they are partnering with Saint Arnold Brewing Company and Real Ale Brewing Company to bring you special tappings and special cocktails. 6pm. Valentine’s Day Singles Mixer at The Gite Gallery – The Gite Gallery hosts a relaxed, engaging Valentine’s Day Singles Mixer in the Third Ward. Mingle with mature, professional single men and women while enjoying food, drinks, giveaways, and fun activities. Tickets are $10, but limited discounted $5 tickets are available. 7pm to 10pm. 7th Annual Valentine’s Day Battle of the Sexes Comedy Show at Warehouse Live – The 7th Annual Valentine’s Day Battle of the Sexes Comedy Show comes to Warehouse Live in EaDo. Hosted by Rich Williams, seen on the FOX talk show The Real, the showcase will feature Andy Huggins (seen on NBC’s America’s Got Talent), Kristin Lindner (Nickelodeon’s NickMom Nite Out), and Sheng Wang (HBO’S Two Dope Queens, Fresh Off the Boat). Tickets range from $20 to $50. There will be a show at 7pm and 9pm. Galentine’s Day at 3rd Floor | No Cover – Have a ladies night with your best girlfriends when 3rd Floor in Midtown hosts a Galentine’s Day event. There will be half off bottle of wine and bubbles all evening. 8pm. VOX Beer Summit at Eureka Heights Brew Co. | No Cover – Raise awareness of mental health at the third annual VOX Beer Summit, this year featuring the theme, “Rise Above.” You can join a discussion with local groups, network with individuals, and sign up for future volunteering opportunities. Food and drinks will be available for purchase. 6pm. Wax & Wine: A Valentine’s Workshop at Love & Make in Rice Village – Love & Make hosts a special Wax and Wine Valentine’s edition of their signature candle-making workshop—perfect for a date night for couples, best friends, and more. This special evening event will feature a wine-tasting experience by Vinology Houston. $65 per person. 6:30pm to 9pm. Coheed and Cambria in Concert at House of Blues – The prog-rock group fronted by Claudio Sanchez continues touring into their 24th year as a band. With albums that are conceptual and story-driven, the group has gathered a faithful following over the years. Foxing opens the show. Tickets range from $39.50 to $65, but you may find better or cheaper seats on the TicketNetwork online marketplace. 7pm. G. Love & Special Sauce in Concert at White Oak Music Hall – Get down to funky tunes by G. Love & Special Sauce during a concert upstairs at White Oak Music Hall in The Heights. Arrive early to see openers Ron Artis II & The Truth. Tickets start at $35, but you may find better or cheaper seats on the TicketNetwork online marketplace. 7:30pm. Asleep at the Wheel in Concert at The Heights Theater – See the 10-time Grammy Award-winning group, Asleep at the Wheel, perform an intimate show in the historic Heights Theatre. The eight-piece band now features newcomers Katie Shore, Dennis Ludiker, Connor Forsyth, and Josh Hoag. Tickets are $32. 8pm. Bembe Salsa y Bachata Social at Dauntless Dance – Bembe Salsa y Bachata Social returns for February at the Dauntless Dance & Movement studio on Houston Avenue in the Woodland Heights. Latin dances (including salsa and bachata) are some of the most entertaining and practiced dances all over the world. Admission is $10 before 10:30pm when you text Bembe to the number 41400; $13 cash after 10:30pm; $7 for college students and military with valid ID. 9:30pm to 1:30am. Saint Arnold Mardi Gras Pub Crawl in The Heights – Bust out your purple, gold, and green beads for this Mardi Gras-themed bar crawl that takes participants through several hot spots along White Oak Drive in The Heights. Bars include Little Woodrow’s, BB’s Tex-Orleans, Bobcat Teddy’s, Public House, Christian’s Tailgate, and Onion Creek. 2pm to 6pm. 5th Annual Mardi Gras on Main in La Porte | FREE – Make your way to the 5th Annual Mardi Gras on Main, a free, family-friendly street festival at Main Street in La Porte. 4pm to 9pm. Mini Watercolor Painting Classes at Honey Art Cafe – Learn how to paint abstract, modern, and minimalist aesthetics in this mini-watercolor painting class at Honey Art Cafe. Geodes are the subject of this week’s class. Tickets are $35. 7pm. Justin Nozuka in Concert at House of Blues – Canadian-American singer-songwriter, Justin Nozuka, performs in the Bronze Peacock Room at House of Blues in Downtown. Doors at 7pm; show at 8pm. Tickets are $25. 7pm. Rainbow Kitten Surprise in Concert at Revention Music Center – Experience a show from the indie rock band out of North Carolina, Rainbow Kitten Surprise, at Revention Music Center in Downtown Houston. Hear songs from their latest album, Fever Pitch when they hit the stage with special guest openers, Mt. Joy. Tickets are $30. 8pm. BJ Barham, with Joshua Ray Walker, in Concert at The Heights Theater – The front man for American Aquarium, country artist BJ Barham plays a solo show at The Heights Theater, with special Joshua Ray Walker. All ages show. Tickets range from $20 to $128. Doors at 7pm; show at 8pm. Beats on Beats at Axelrad | No Cover – Axelrad beer garden in Midtown hosts Beats on Beats, a DJ event that explores diverse electronic sounds from beatmakers and experimental producers. 9pm. Jonathan Richman with Tommy Larkins at The Continental Club – The one-time frontman for The Modern Lovers, Jonathan Richman takes his two-man show (with Tommy Larkins playing drums) on the road, delighting audiences all over with his genuine and heartfelt songwriting sensibilities that span multiple languages. Tickets are $15. 10pm. Rodeo Clown Roundup Concert at Karbach Brewing Co – Lace up your running shoes for Karbach’s annual Rodeo Clown Roundup 5K/10K, then head to the brewery for craft beer and Texas Country music. Expect performances by Casey Donahew, Nikki Lane, Old 97’s and more. Tickets start at $30, plus fees. 1:30pm. Smash Bros Painting Contest at Insomnia Gallery – Sketch and paint a famous Nintendo Smash Bros character of your choice within a 3-hour time limit for a chance to wish prizes at Insomnia Gallery. $35 to enter the contest. 2pm to 5pm. David Bisbal in Concert at House of Blues – Catch a show from the Spanish pop singer, David Bisbal at House of Blues in Downtown. Tickets range from $35 to $89. 7pm. Cody Ko & Noel Miller at White Oak Music Hall – Bust a gut when the comedic duo, Cody Ko & Noel Miller perform at White Oak Music Hall for their Tiny Meat Gang Live tour. Tickets start at $25. 7pm. 2Cellos in Concert at Smart Financial Centre – Catch a live performance by the Croatian duo of YouTube fame, 2Cellos, as they stop in Sugar Land on their acclaimed U.S. tour, “Let There Be Cello.” Tickets start at $29.50, but you may find cheaper or better seats on TicketNetwork’s resale market. 7:30pm. You can find more fun in our interactive event calendar and 365 Weekend Guides. Be sure to subscribe to our free Weekend Guide email to receive a round-up of great things to do this weekend in Houston in your inbox every Thursday. If you don’t want to miss a thing, you can also opt in to our Daily Update emails (emailed six days a week). 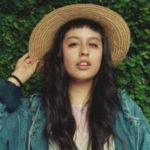 Zahira Gutierrez is a writer and musician born and raised in Houston fascinated by fashion. When she isn't recording or touring the country with her band, Wild Moccasins, she can be found sewing her own costumes and covering lifestyle events for 365 Things to Do in Houston.